People ask me where I bought my TV. I got it at DID Electrical on Malahide Road for EUR699. I’m very happy with DID’s price and service; another store where I looked at this TV had it for EUR849. I got extended warranty for EUR99, but then I got a EUR20 voucher for another purchase (spent on an aerial) and an additional EUR20 discount at manager’s discretion. Very, very pleasant experience. 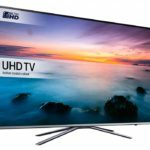 Samsung UE49KU6400(pricespy) can do 4K and HDR. Not much content that can do it, but Netflix in Ireland has a few pieces of content: things like House of Cards are 4K, and Marco Polo is HDR. Builtin Tizen OS is useless. Builtin Netflix app doesn’t say anything about supporting HDR, so I assume it doesn’t. I am very happy that I have nVidia SHIELD. Switching between TV and an app is harder and lossier than switching to external HDMI. Builtin Vimeo app is semibroken, and Android TV version of Vimeo seemingly does not exist. nVidia SHIELD can be used to send Marco Polo in HDR. nVidia GPUs before Maxwell and Pascal architecture (e.g. my GTX 770) can’t output HDR. Quite happy with upscaling. Frame interpolation, presumably up to 60fps, can be turned off but is a pretty nice parlor trick. PIP only works when you have the TV tuner set up, and when you switch to an external input (e.g. HDMI). Switch to HDMI, and then you can watch TV in a small window. Useful only if you want to watch YouTube videos while ads play on TV. Upscaling from full HD and below works fine with neat results. Image can be made quite bright and exciting-looking. It looks like you’d want to switch to Dynamic image type to get the in-store experience. Probably bad for eyes though. There’s sports mode. It makes image brighter. It’s got a dedicated button on the remote, which causes very annoying noise and animation to appear when sports mode is entered AND left. There is a gaming mode, presumably cutting down on latency. I didn’t try to notice a difference. There is a second remote called “Smart Remote”. There’s way less buttons than on the main remote. It tries to be similar to Apple TV or SHIELD remote. Rather useless. To get HDR from HDMI, you have to turn on the relevant option (“UHD Color”). Not sure why that’s not the default. 4K/UHD HDR is barely noticable, but nice. 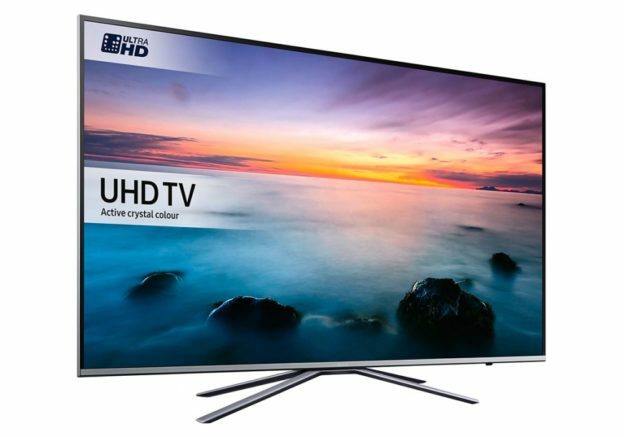 It seems that “UHD Color” (HDR) is only available on one of the inputs. I’m not sure, but it didn’t look like it could be turned on on another HDMI input after I flipped it on on HDMI1. Not that I have another HDR-capable device; this involved re-plugging SHIELD into HDMI2. This entry was posted in gadgets on November 29, 2016 by Ivan Vučica.